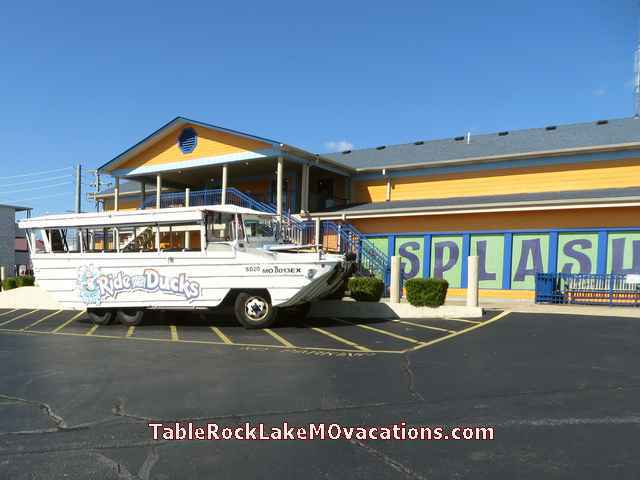 + Some Branson Attraction, Show, & Waterfront Restaurant "Reviews,"
Get the Affordable US Beach Vacations Blog - "mini"version widget and many other great free widgets at Widgetbox! 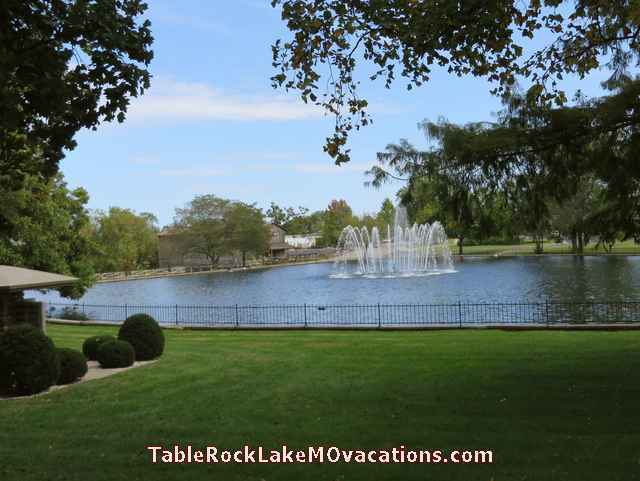 The photos, info, and Table Rock Lake Missouri Vacations Tips on this page are almost all from a 2013 Scenic Driving Road Trip we took to the Table Rock Lake area in Missouri. 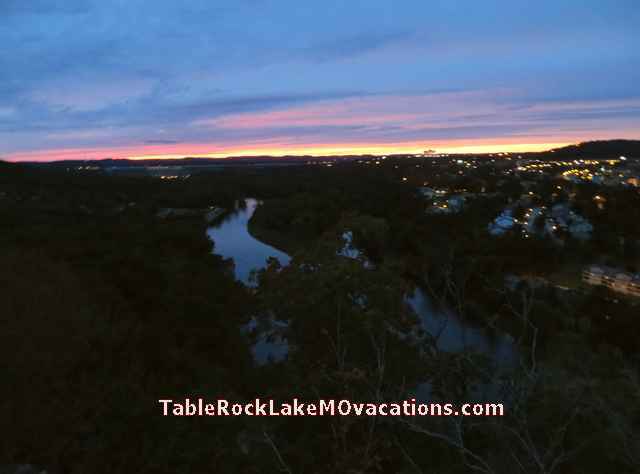 We stayed in a RCI Timeshare Exchange Condo with a balcony that fronted onto Table Rock Lake for some of our scenic Table Rock Lake Missouri Vacations selected photos below. 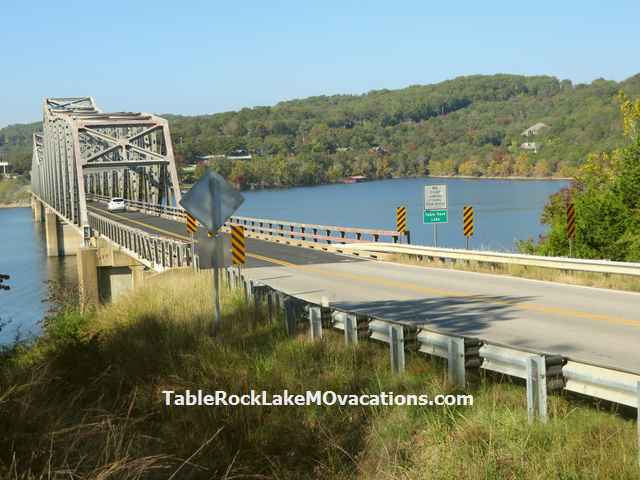 We did several scenic drives around the huge Missouri Table Rock Lake. 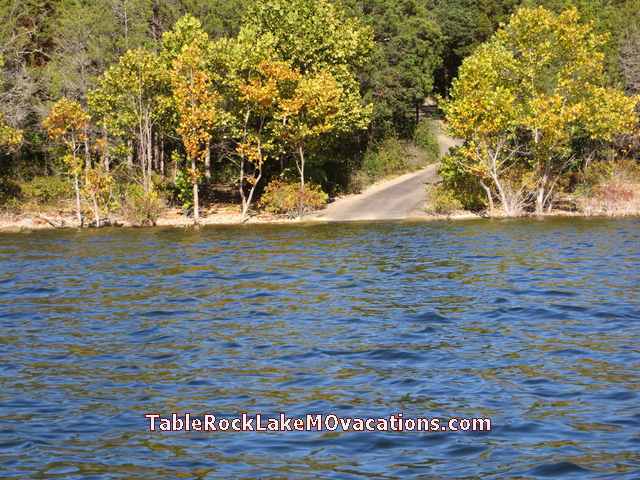 Table Rock Lake is over 43,000 acres with about 800 miles of shoreline, and is known for great Bass and other Fishing. 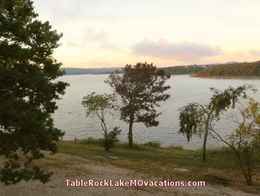 We discovered some very scenic campgrounds where almost every paved campsight was right on Table Rock Lake or had a good view of Table Rock Lake. 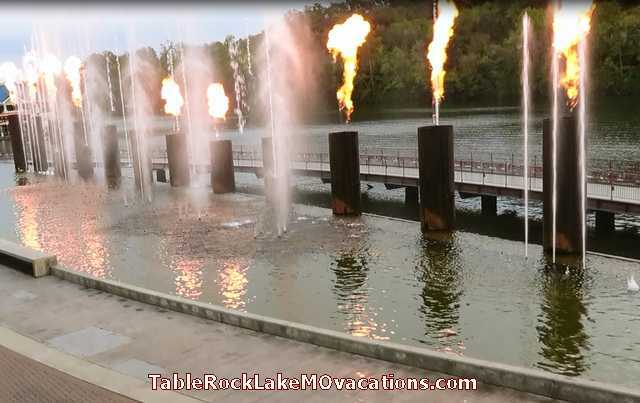 We will have some pictures of those campgrounds and some Info Links + an opportunity for User Campground "Reviews" on our upcoming "Branson MO Vacations, Attractions, & Area Camping" Page -- check back. 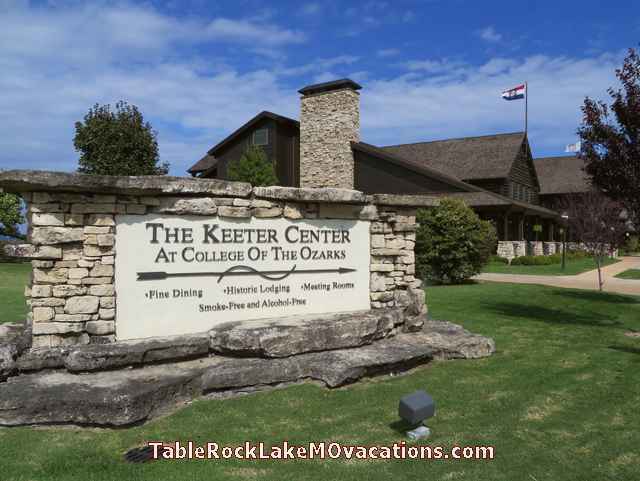 Although the scenery around Table Rock Lake and the lake views were the highlights of the Trip, we did go over to Branson for a few Attractions and afternoon Shows + a lakefront Branson Harbor restaurant with a great outside seating view, which we will "review" here with some pictures when we have gone through all of the photos from the trip and selected our "Top Picks" for this page. Check back. Google Interactive Table Rock Lake, Missouri Area Map Link - Route: Branson, MO to Kimberling City (Via town of West Branson Route using MO-76 west and MO-13 south) to Mill Creek Campground -- back to Branson, MO via south route using MO-86 -- then to Table Rock State Park & Campground SW of Branson using MO-165. 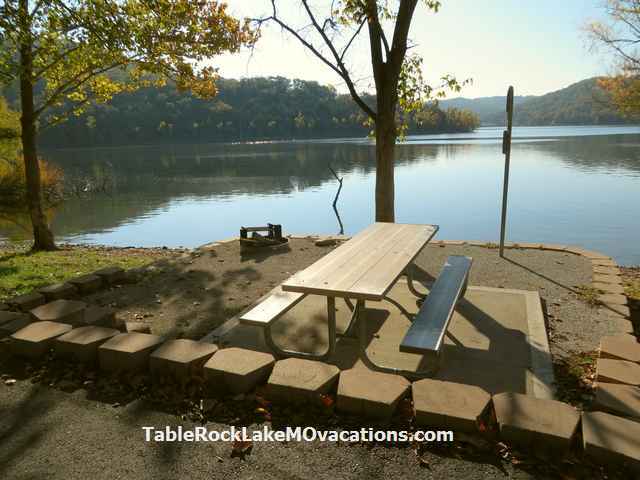 More Table Rock Lake & Branson area camping and Table Rock State Park Campground Map Links below with Table Rock Dam and steel bridge across Lake pictures. 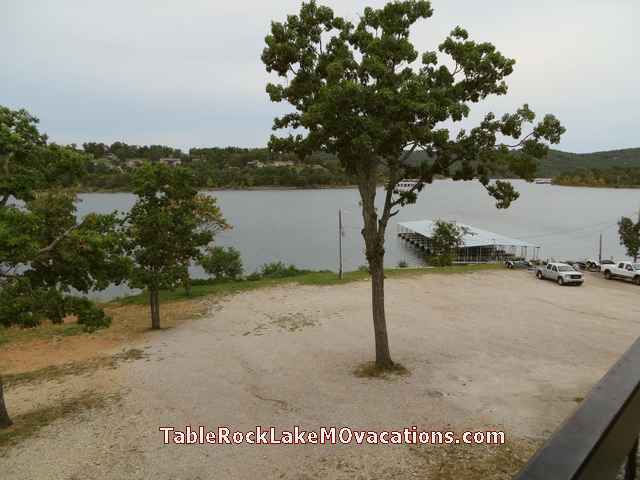 Table Rock Lake Campsites picture and area campground map links near the bottom of this page. Tip 1 - We found several of the shows, rides, and restaurants gave a discount to Seniors and also to members of the Militiary -- but you had to ask! So don't forget to ask if you are in either catageory. 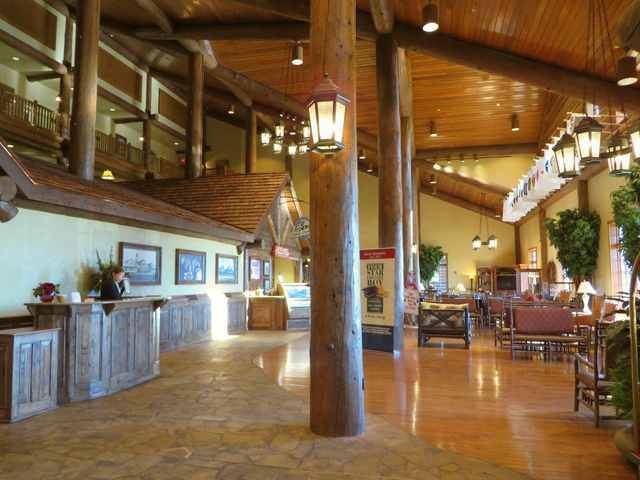 Tip 2 - Also, our friends who had been to Branson Missouri recently told us it was easier to get seated in the area you wanted + ask about discounts if you called each of the theaters directly, Vs going through a online ticket broker. We found that calling the Theatre or just stopping by in person worked well for all of the tickets we purchased in Branson. We even turned down some front row seats for Branson Shows we were offered for ones back 8 or 10 rows so we would be able to just Watch the show, Vs be a "Participating" audiance member that they often pick from the front 2 rows for the "Audiance Involvement" portions of their programs. 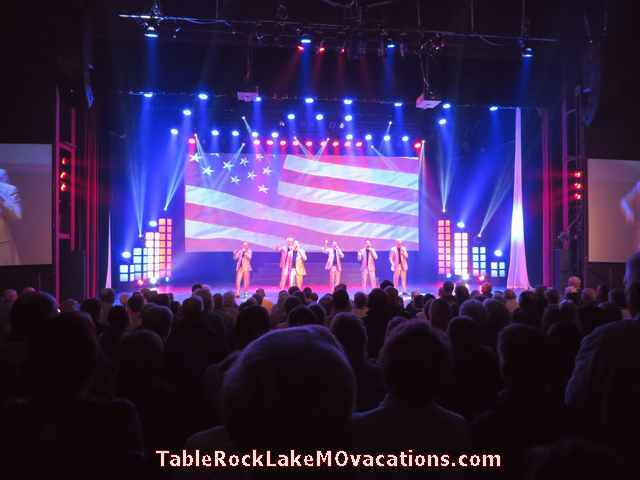 On a different vein, Veterans and present members of the Military can almost count on that they will be asked to stand up as a group and be favorably recognized and applauded during the Branson show -- and they deserve it! The last time we flew, Delta Airlines was letting members of the Military in uniform board first, and asking everyone waiting at the boarding gate to applaud them for their service! Maybe some other Airlines are also doing this by now. A small recognition to help make up for all of the sacrifices they and their families make. There were a LOT of fisherman fishing on the lake! We heard some good fishing reports. 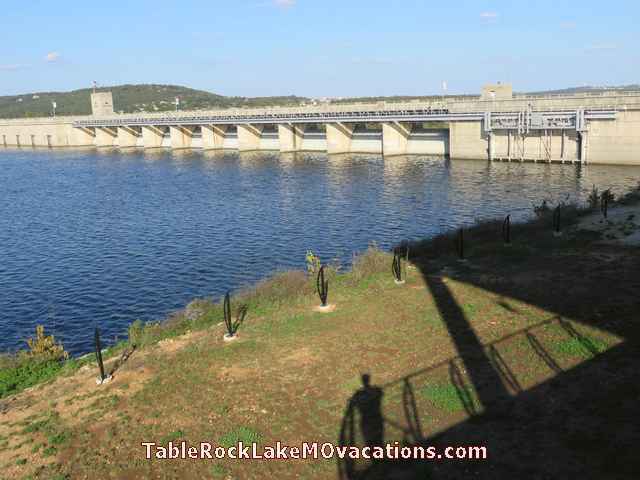 good Trout Fishing on Lake Taneycomo that starts just behind the Table Rock Lake Dam! 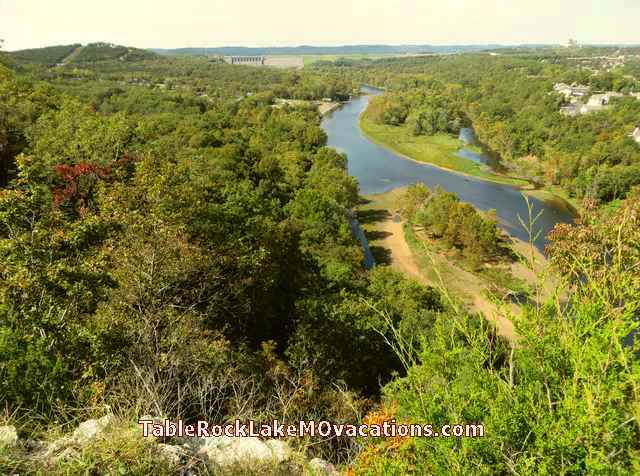 south & east of Branson -- Has good trout fishing! branches of Table Rock Lake that we drove over on our scenic drives around the Lake. 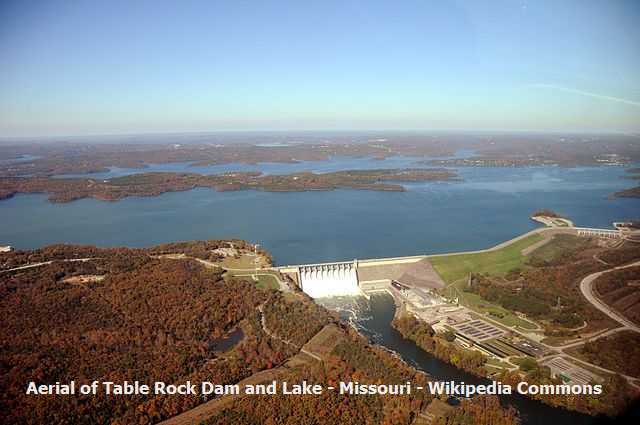 Detailed US Army Corps of Engineers printable Table Rock Lake Missouri Map pdf showing all of the Table Rock Lake area Parks, Recreation areas, Campgrounds, Boat Ramps, and Highways around Table Rock Lake in Missouri. Tip [Ctrl] [+] on keyboard gives you a larger Text & Pictures view in most newer browsers. very well landscaped campus. Took many pictures. Table Rock Lake where we Spashed into and "boated" on the Lake in the "Duck"
Interesting and Fun "ride" -- we had a great former Militiary Driver/Guide for our Duck trip! How to Take Good Photos on Vacations - Taking Scenic Photos that "Pop"
that went off every hour. The restaurant's gourmet Mexican food was good too! the flames showing since the flames shot up and then disappeared so fast! -- We spent almost 3 hours touring it if that says anything about how Interesting it was! 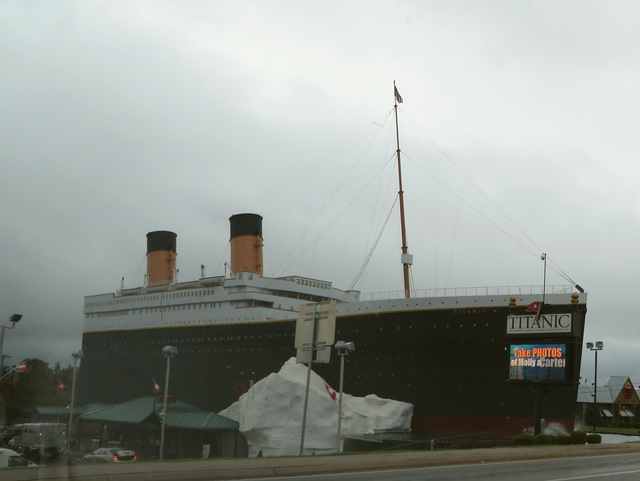 so this is the only photo I have of the Titanic Museum. Branson MO Show - 6 brothers "voices only" SIX show -- well done fun show! Amazing the Music -- including musical "instruments" -- they could do with "only" their voices! -- and in some displays we saw in Branson also. 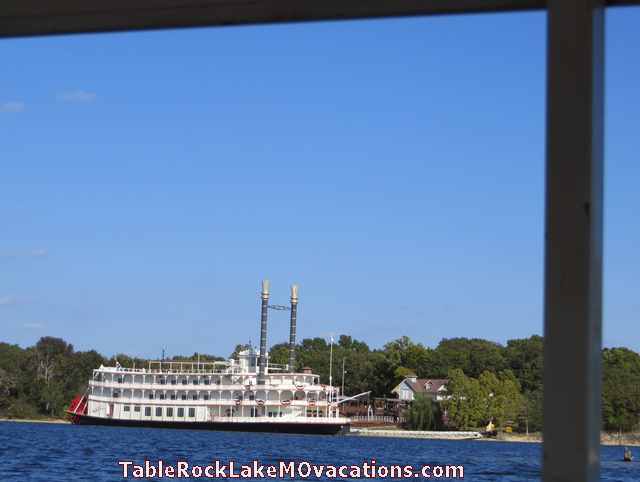 -- And then on to a overnight + day stop at the Lake of the Ozarks in Arkansas. tour using their unique Cell phone based audio Guide and maps along the route. 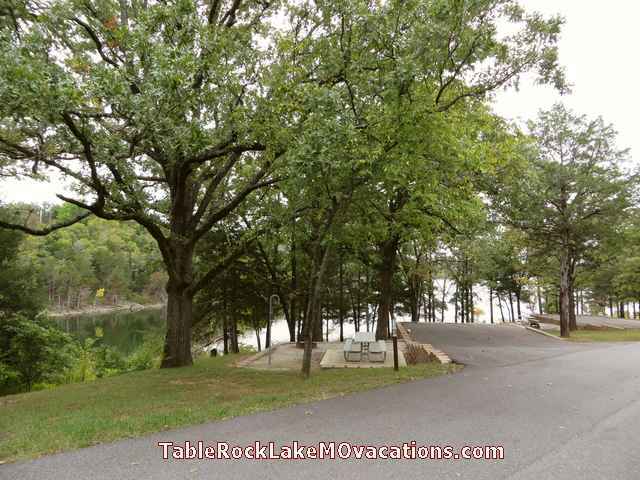 Missouri Table Rock Lake Area Scenic Drives or Campground Tips -- or your Scenic Table Rock Lake Drive or Campground "Review"
Have you had a great Scenic Drive or Campground Experience at a Missouri Table Rock Lake Scenic Drive, Camping Site, or RV Park on the Lake you want to Share? 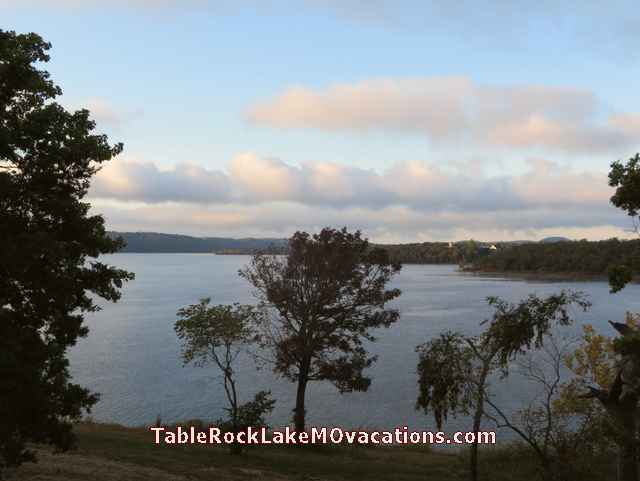 Share your Experience with the Viewers of this page + maybe even your Table Rock Lake Area Tips! Include your thoughts about the Campground, as well as any Tips that might help our Viewers. Do you have a picture to add? Great! Click the button and find it on your computer. Then select it. Now your Picture will appear with your story! A picture Title or Description helps, if you have one. To subscribe to our mini US Beach Vacations Blog automatic updating RSS Feed, use one of the easy links in the XML/RSS box above. No emails or name necessary! Not quite sure what RSS and Blogs are all about? -- click on the "What's an RSS Feed?" link here or above on left for Info. Simple and time-saving! Beats e-mail updates! Oregon Vacation Beaches - Coastal Oregon Vacation Beaches including Florence area Day Trip List with Tips and driving times from Florence Central Oregon Coast location. How to Take Good Photos on Vacations - 5 "Basic" Non-Technical Digital Vacation Photography Tips that help make your Scenic Vacation Pictures more enjoyable to view. Easy to remember GoUSVacations.com Page with links to all 4 of our "Picture Enhanced" US Vacation Guide Web Sites + Site Descriptions. 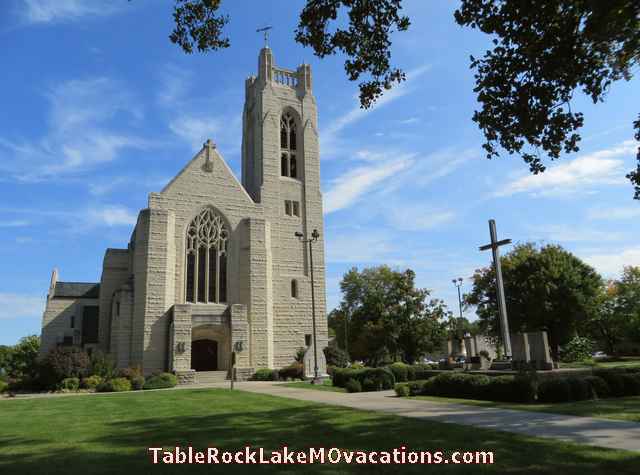 - Affordable Table Rock Lake Missouri Vacations -- Attractions, Scenic Day Trips, Photos, Maps, Vacation Info Links, & Tips. 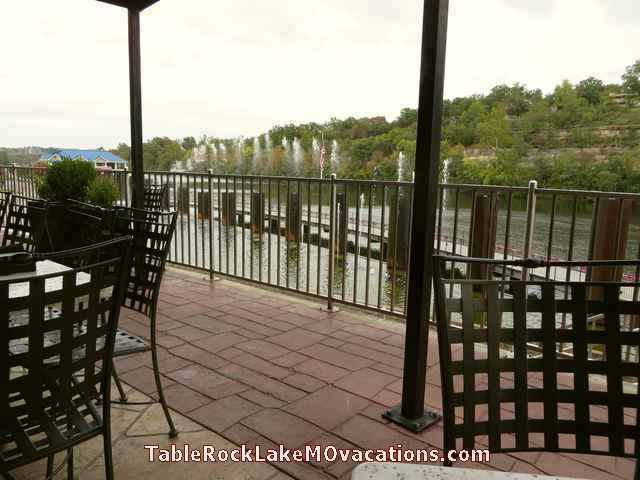 Scenic Table Rock Lake Attractions and Beaches Photos & Tips + a few Branson, MO area Attraction and Show "Top Picks" and Branson waterfront restaurant "Reviews"